Today I'm happy to take the day off and turn the blog over to Arcadian Home Decor. Hi all! I’m Jennifer and I write for Arcadian Home Decor, a site that chronicles the work of top interior designers and home decor trends around the world. I've been writing about home decor since graduating university and have loved it ever since. I'm addicted to patterned fabrics, Jonathan Adler, chaise lounges, old doors, milk glass jars, antiques, and chandeliers. 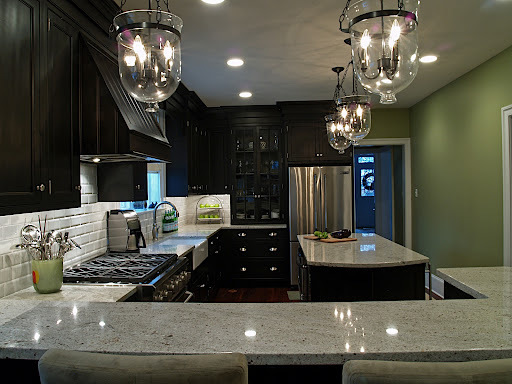 The Granite Gurus blog makes me want to cover my entire house in stunning granite, not just my countertops. 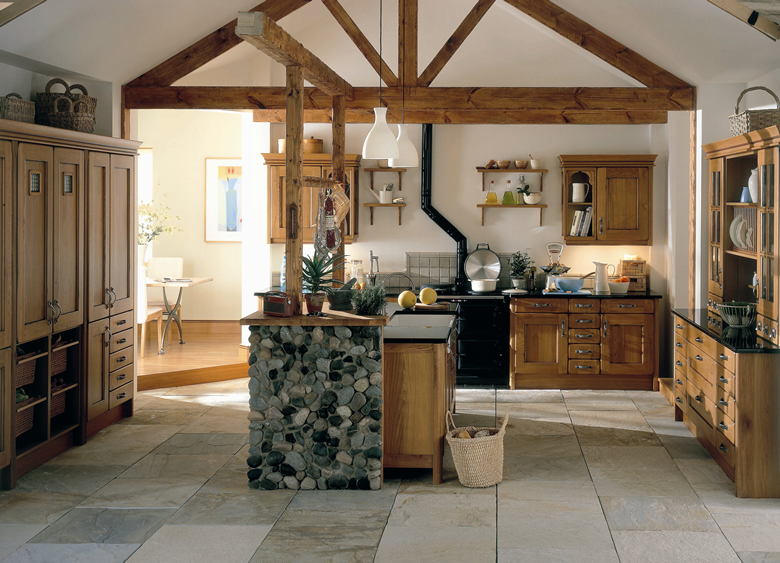 But in the meantime, here are some beautiful granite in traditional kitchens. Thanks for letting me write this guest post! What's one of the most incredible, versatile home decor accessories made by Mother Nature? Yep, it's granite. 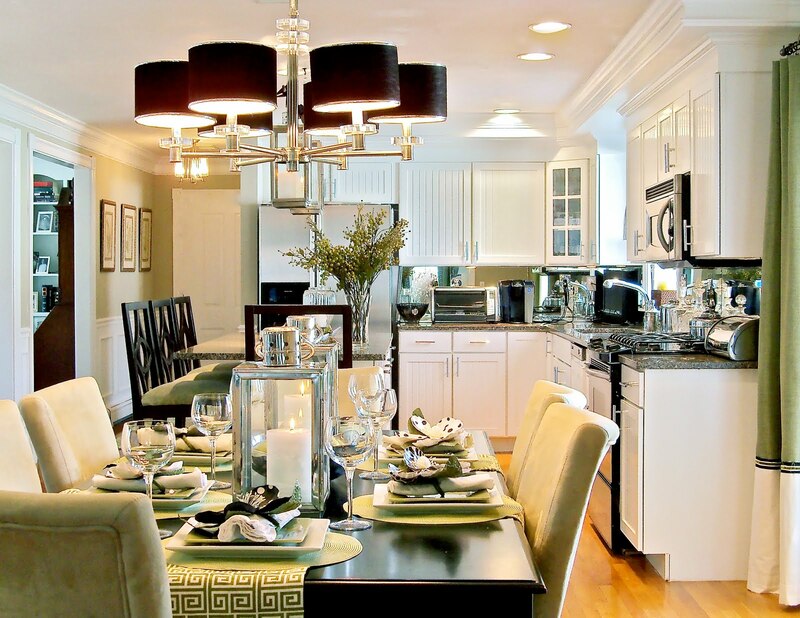 And there's no better place to steal the show than installing granite in traditional kitchens. Although a relatively recent countertop material, granite looks incredible when integrated in a classic kitchen, installed with traditional cabinetry, which provides a striking contrast between new and old. The beige granite against the white cupboards, flanked by table decor like red glassware, creates a beautiful symmetrical space. One of the best features of granite is its glossy finish, and with oversized hanging lanterns above, the light is reflected brilliantly in its surface. Meanwhile, the dark chocolate brown cabinets provide the perfect backdrop. Just a touch of granite on top of a sturdy kitchen island is all this modest space needs - the checker black and white floors lend a retro feel to the room. The clean white lines of the traditional cabinetry really pop against the bright turquoise walls, while wood stone granite is both aesthetically pleasing as well as durable. Home accessories like the wall clock and framed prints are pretty details. A mix of coloured granite is always an attractive choice for different areas of a kitchen - here, white granite is used on the island while black granite covers other workspaces. Various materials such as wood, granite and stainless steel bring together the classic and contemporary features of this kitchen/dining area. The table decorations are also marvellous. One of the best things about granite is how adaptable it is - the black granite shown here meshes perfectly with all of the exposed wood along with the stone-detailed island. Neutral-coloured kitchens like this are soothing as well as elegant - the custom-built cabinets keep this nook of a space from feeling overcrowded. Content provided by Arcadian Home Decor, a site that specializes in top quality home accessories at extremely affordable prices. Come visit us today! Well played Arcadian Home Decor. Great post! 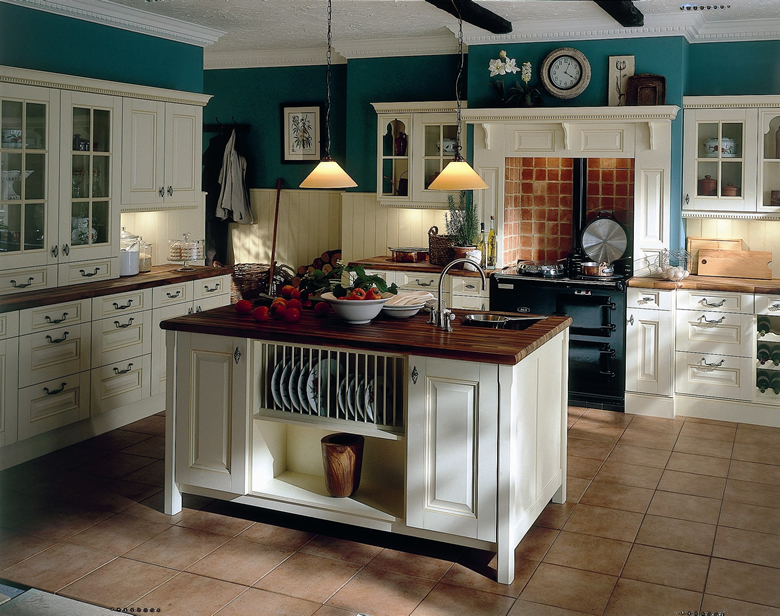 Granite in Traditional Kitchens is Very beautiful.I also do like to make this type of kitchen. Hi. Your post was so amazing and lovely. Everything in your blog was perfect and very elegant. Thank you for letting us do a guest post on your blog. I really appreciate it.